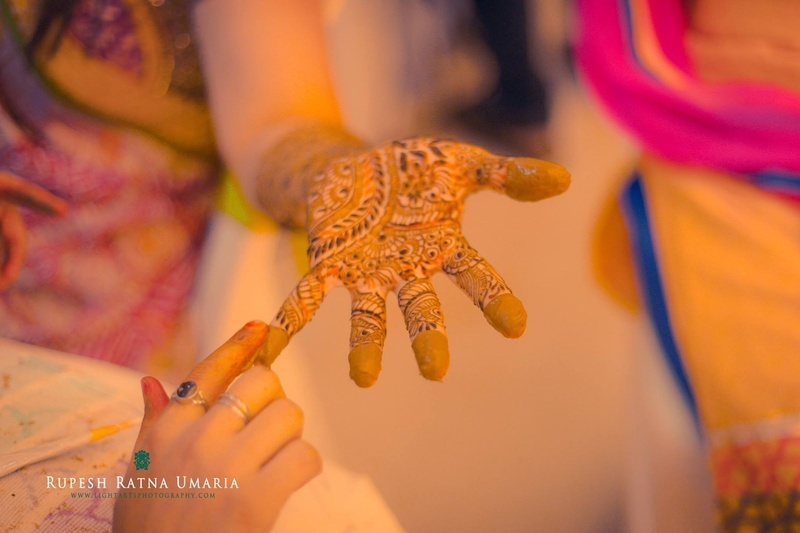 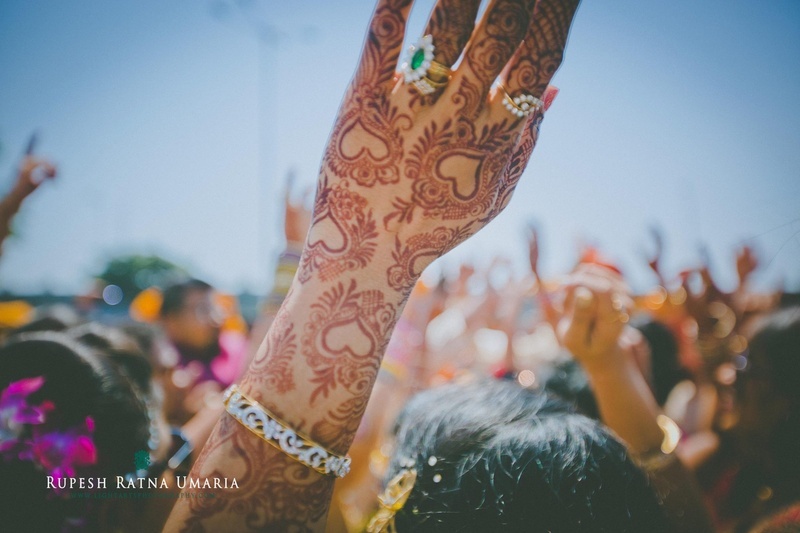 Wedding celebrations started with the mehendi ceremony held in a beautifully lit banquet hall, decorated with strings of jasmine and fresh green ferns. 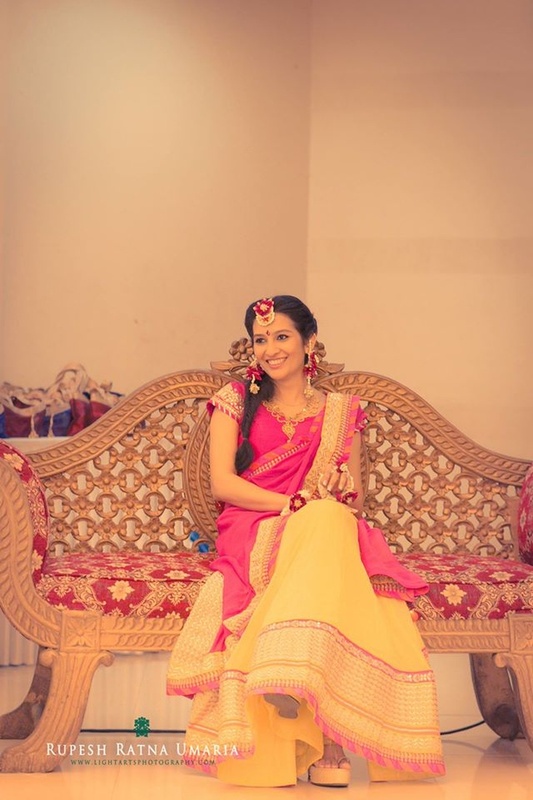 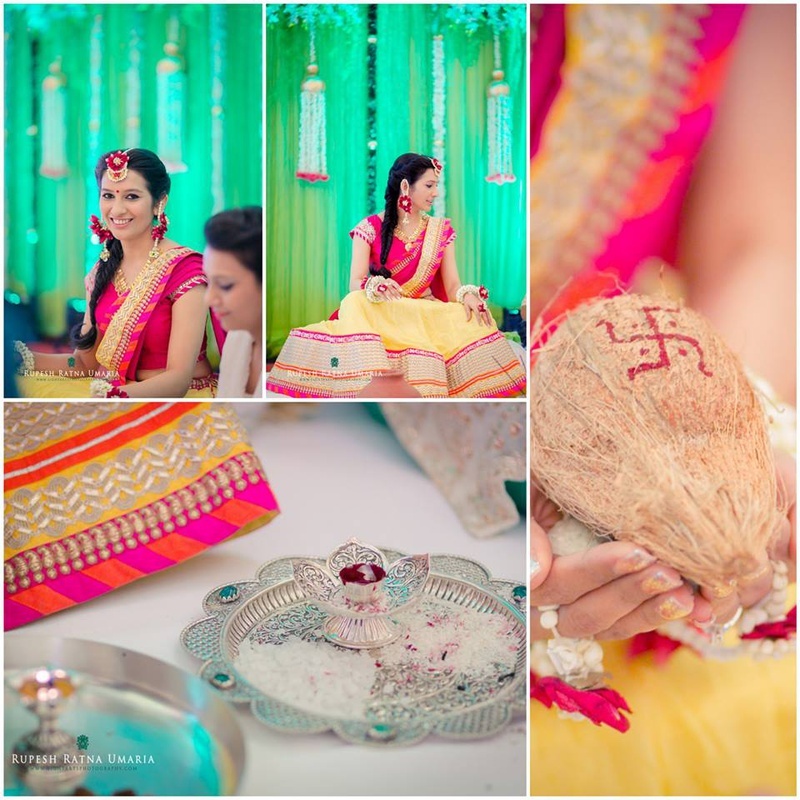 Ketki wore a lemon yellow lehenga and paired it with a pink raw silk choli and multi-pattern bordered dupatta. 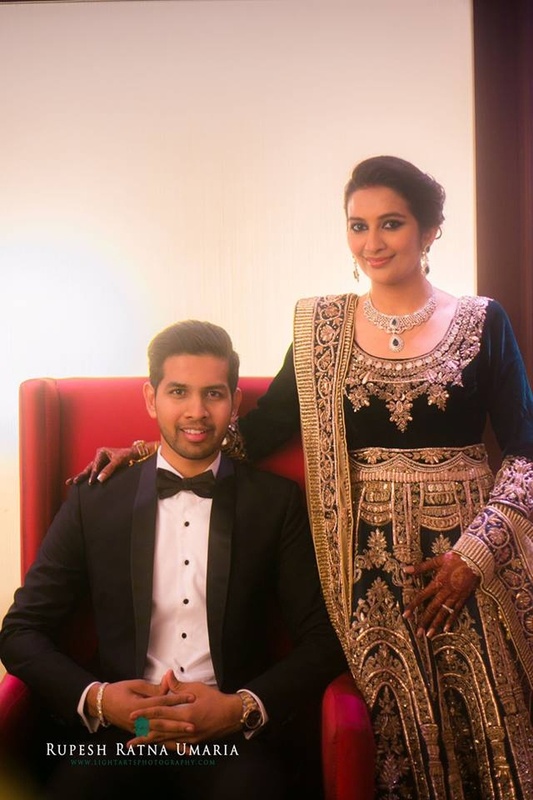 With her hair plaited in a neat fishtail braid, the beautiful bride-to-be wore a combination of traditional gold and fresh flower jewellery. 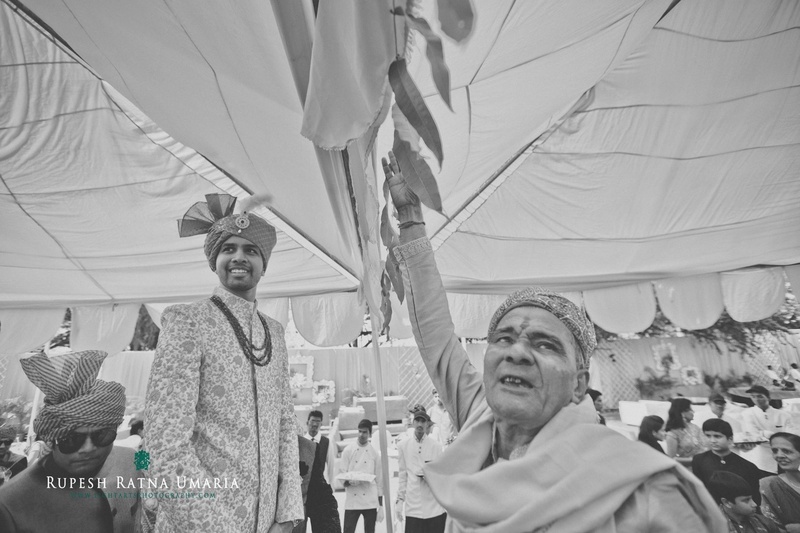 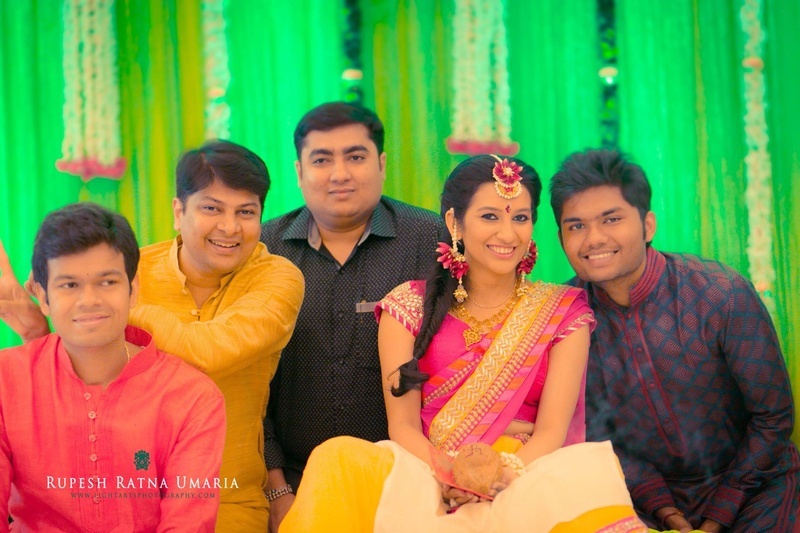 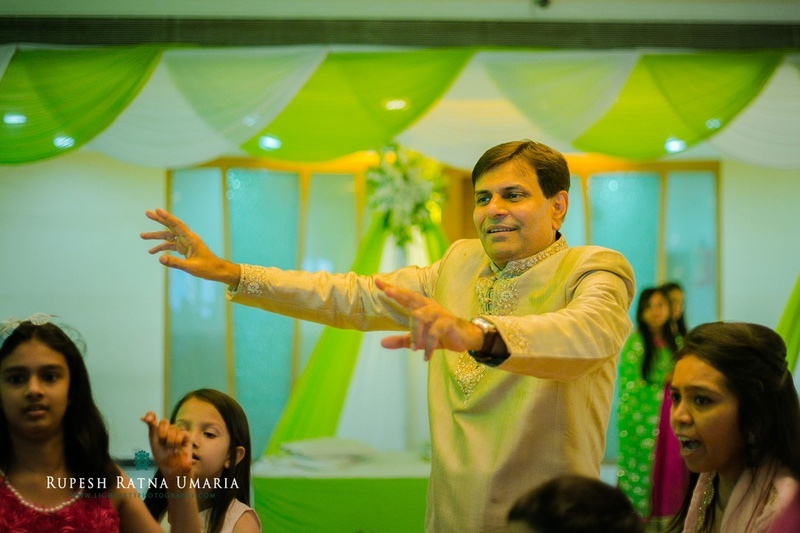 Tejas’ off-white bandhgala sherwani with floral resham embroidery was a stunning pick for his outdoor wedding. 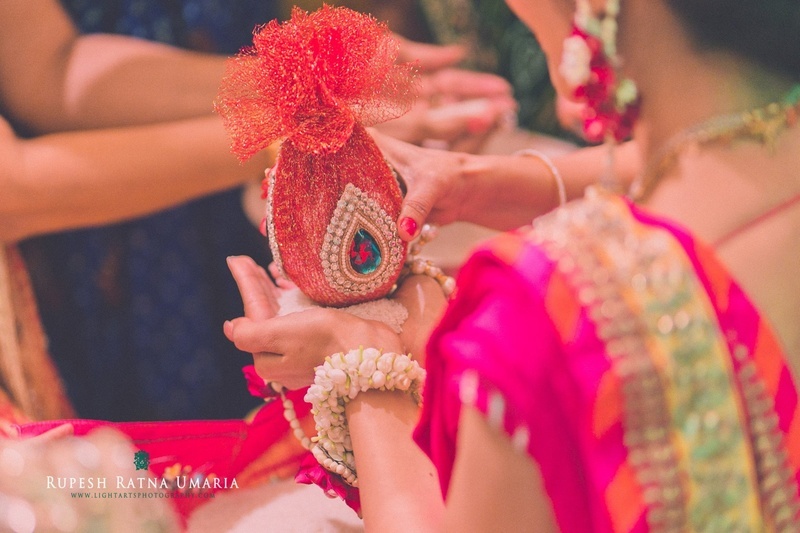 He styled it with a multi-strand haar and safa embellished with a feather topped ornamented Kalgi. 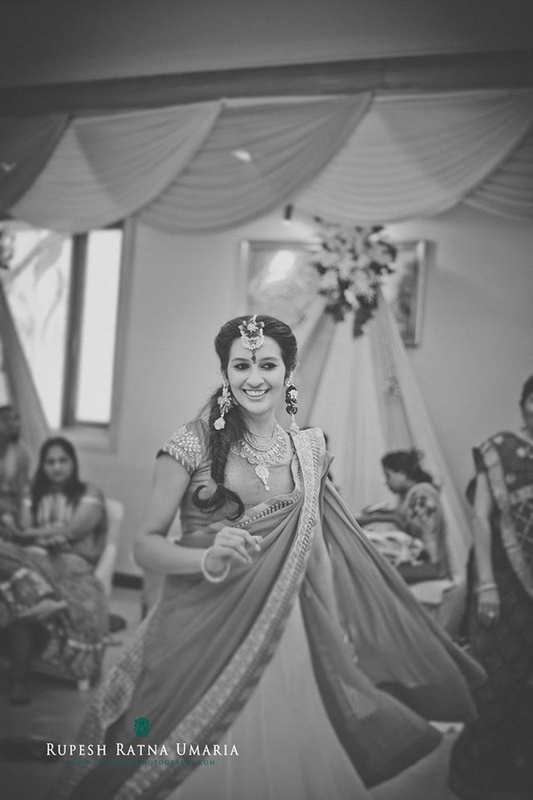 Ketki, his beautiful bride, wore a cardinal red wedding lehenga embellished with intricate zari work and stones. 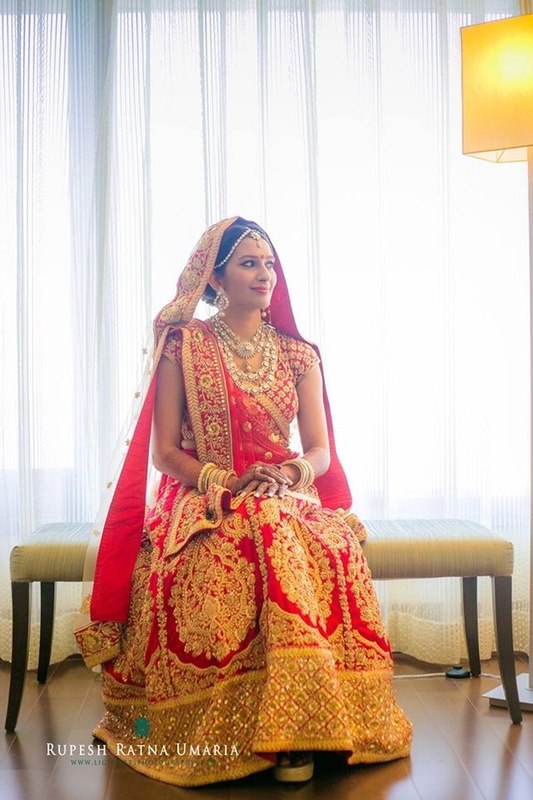 The ornamented hemline on her traditional red bridal lehenga had us completely mesmerized! 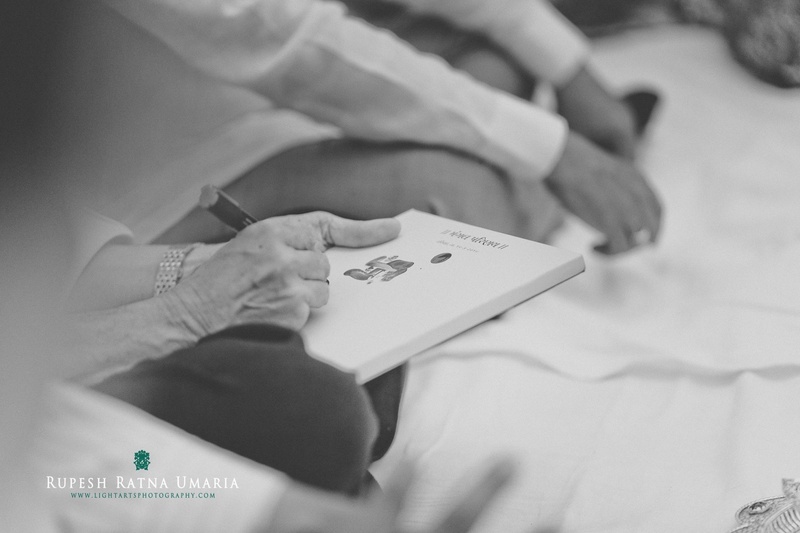 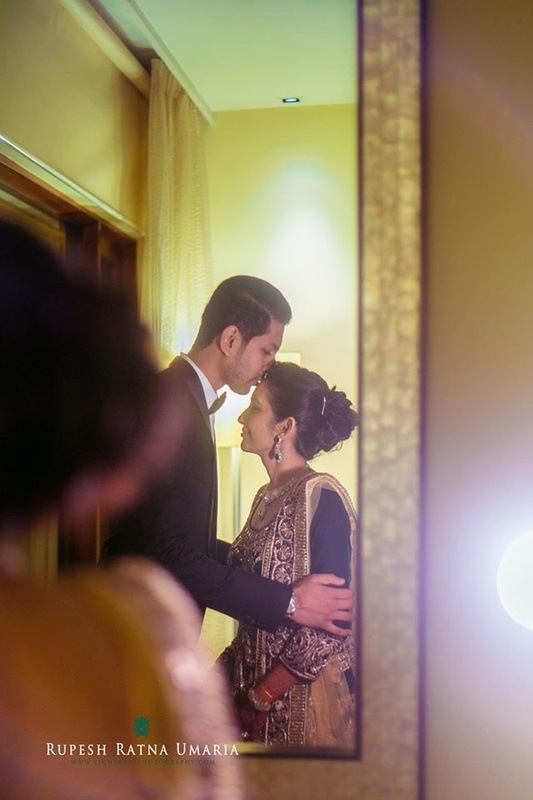 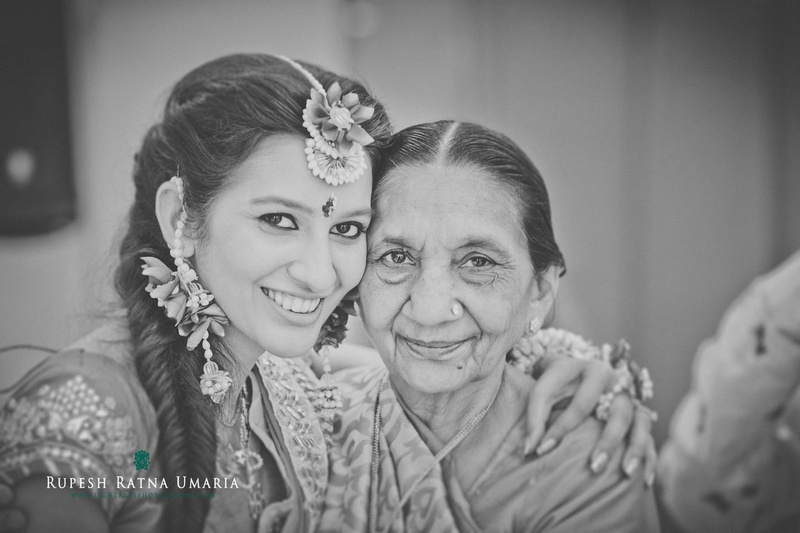 Every stunning image taken at this wedding is all to the credit of Light Arts Photography, who successfully captured every emotion aptly.